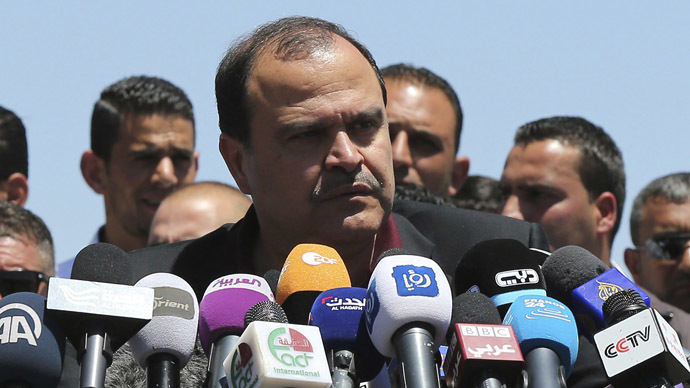 Jordanian Interior Minister Hussein al-Majali, said Saturday that Jordan will go after Islamic State (IS) and will “wipe them out completely.” Meanwhile there are reports that UAE is sending F-16 jets to Jordan to aid the airstrikes. Jordan has stepped up its air campaign in retaliation against IS, after militants released a video of them brutally burning to death a captured Jordanian pilot, Lt Mouath al-Kasaesbeh, in a cage. On Saturday Jordanian F-16 fighter jets were involved in a fresh wave of bombings against IS positions and were seen returning to the Muwaffaq Al Salti Air Base without their missiles. Two F-22 jets with US markings also landed at the airbase. IS claimed Friday that an American hostage Kayla Mueller was killed by one of the Jordanian strikes but offered no video or other evidence to back it up. Mueller was kidnapped near Aleppo in August 2013. King Abdullah II of Jordan visited the dead pilot’s family Thursday, while Jordan’s military said airstrikes were just the beginning of the retaliation. Thousands of Jordanians marched through the streets of Amman on Friday, joined by Queen Rania, calling on the monarch to exact revenge on IS in return for the killing. In a separate development there were reports that United Arab Emirates were sending a squadron of F-16 planes to Jordan to help intensify the pressure on Islamic State. “They will be based in Jordan. This is a big boost and will be helping our brothers shorten their flying distances and intensify strikes against the militants from Jordan,” an army source told Reuters on condition of anonymity.